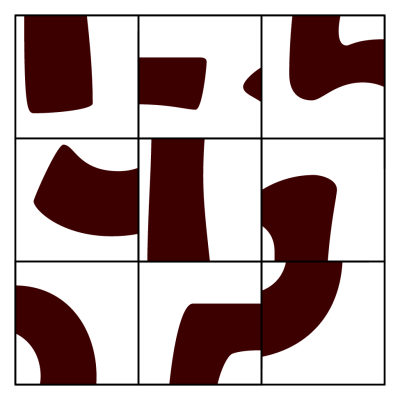 Can you visualise the two-digit number you would see if you were to rearrange the tiles in this picture? You don't need to rotate them. These puzzles are a bit like classic sliding tile puzzles except designed to be solved in your head. 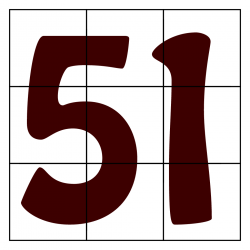 They can be easier than this example, which makes the number '51' in a slightly stylised typeface. 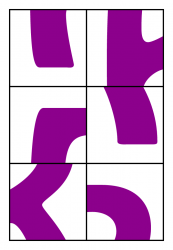 These puzzles can also have different numbers of pieces, or make up a letter or other shape as in the other example on this page (which conceals an 'R').